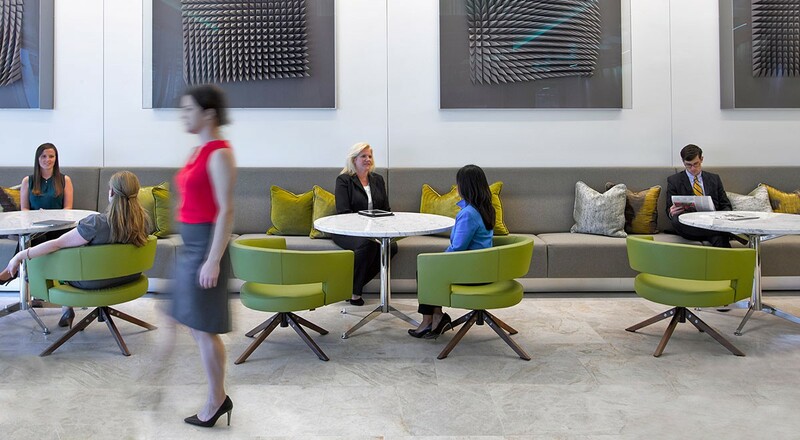 At the corporate headquarters of a financial services company, leather shines in the public spaces where hundreds of visitors visit daily. 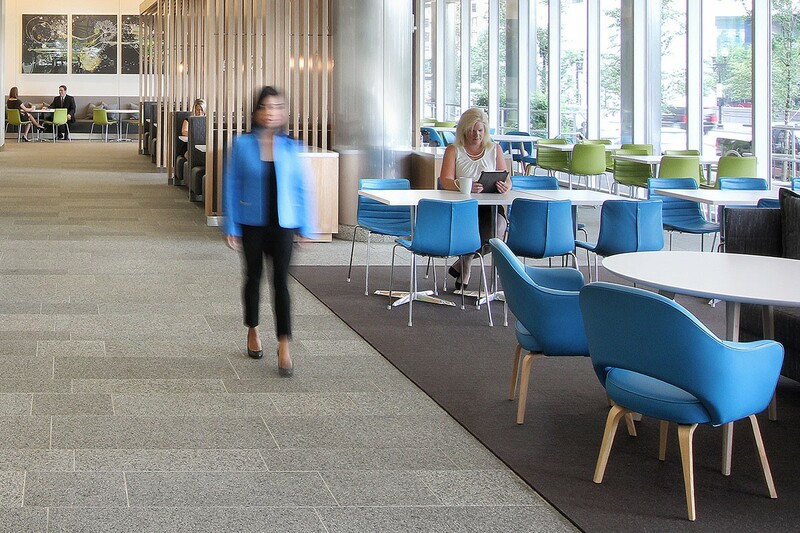 In these busy spaces, a high performance and durable seating covering is essential. Sabrina in a deep, rich brown provides a comfortable built-in seating option at the banquettes in the café. 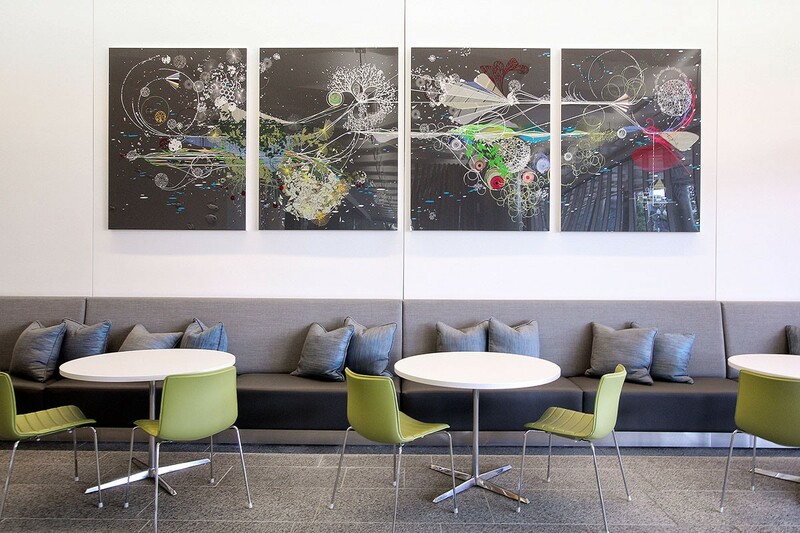 And at the guest reception, Montis Turner chairs in Acqua complement the neutral color palette. The cool neutrals with green and turquoise accents compliment a striking pop of color in the Sabrina-covered Knoll Saarinen dining chairs. For more information, please visit the Acqua (AU) and Sabrina (SA) product pages.